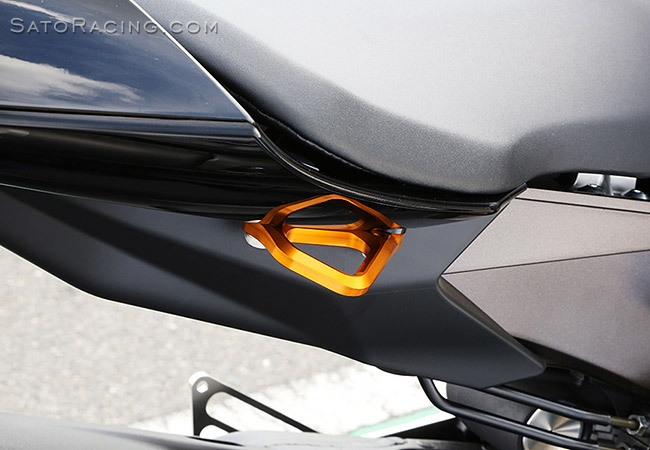 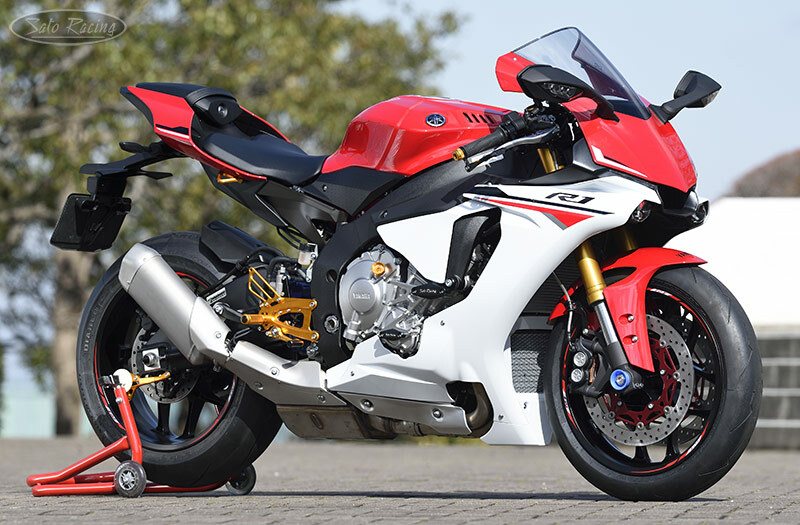 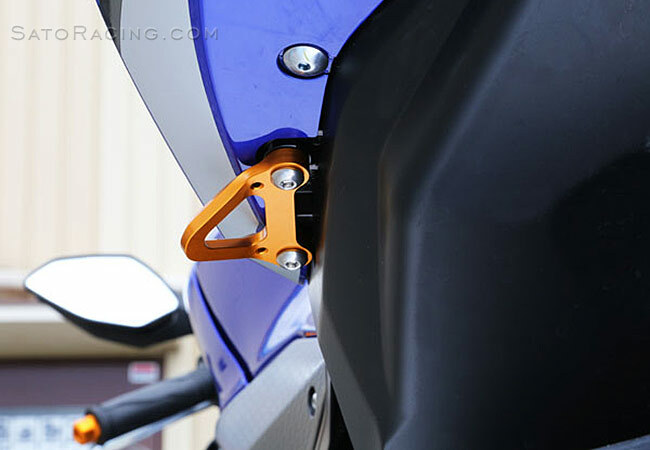 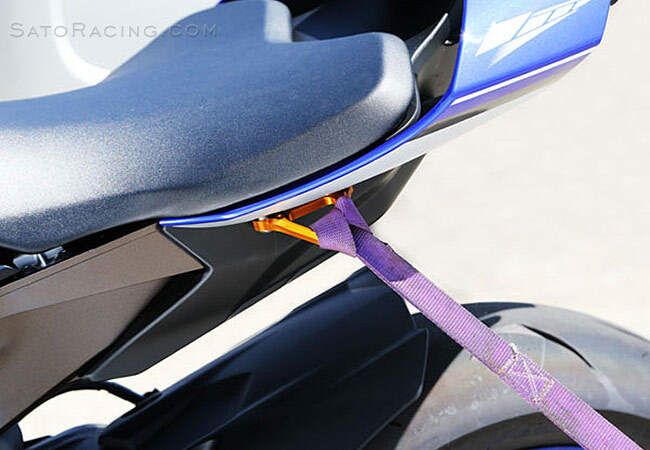 These sleek billet aluminum Racing Hooks for 2015+ Yamaha R1 provide sturdy anchor points in the tail section when the passenger peg brackets have been removed, ideal for attaching tie-down straps and bungee cords. 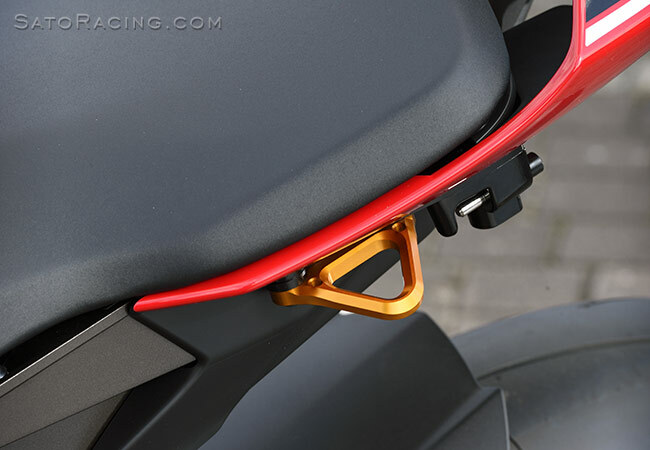 Choice of Black or Gold* anodized finish, with black-anodized aluminum spacer collars and stainless steel bolts and hardware. 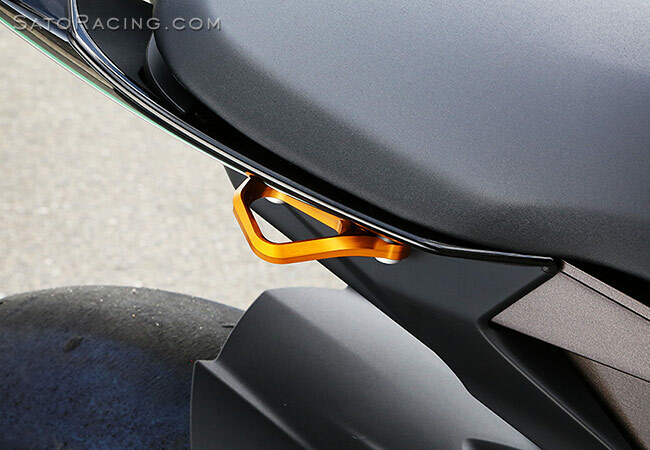 Hook is sold individually or as a L/R Set of 2.
fit there, we now offer the option of getting a single hook just for the left side. 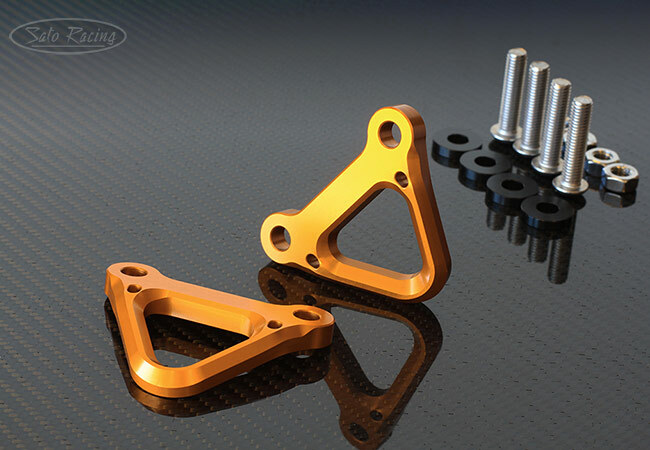 * NOTE: Due to the type of aluminum used to make these hooks, the anodized finish has a matte or satin sheen, which tends to give the Gold version of these hooks a darker, more muted color tone compared to some of our other Gold anodized aluminum parts, and may even appear more bronze than gold in certain lighting.